Just last week, OpenEye released an update to OpenEye Web Services 1.7. We're excited to announce that, among other new features, this update includes panel support for the DMP XT™ Series. 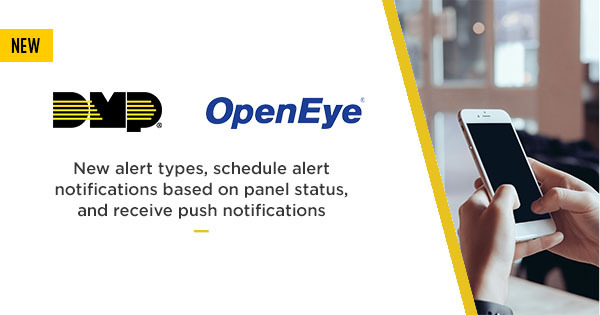 The marketing release from OpenEye noted, "This integration enables OpenEye web services to capture zone alarm, door access, and arming status events generated by DMP XT and XR Series control panels. This data may be utilized to generate reports, real-time video push alerts, or to quickly locate video associated with a control panel event." Read the OpenEye marketing release here. Click here to learn more about the DMP & OpenEye Integration.